As our foremothers taught us, for women especially, the personal is political. In 2017 I was honored and privileged to speak at the first Women’s March. This year I’m inviting you to join me, Denver’s women and all those who support the fight against all forms of oppression in the 2019 Womxn’s March, this Saturday! 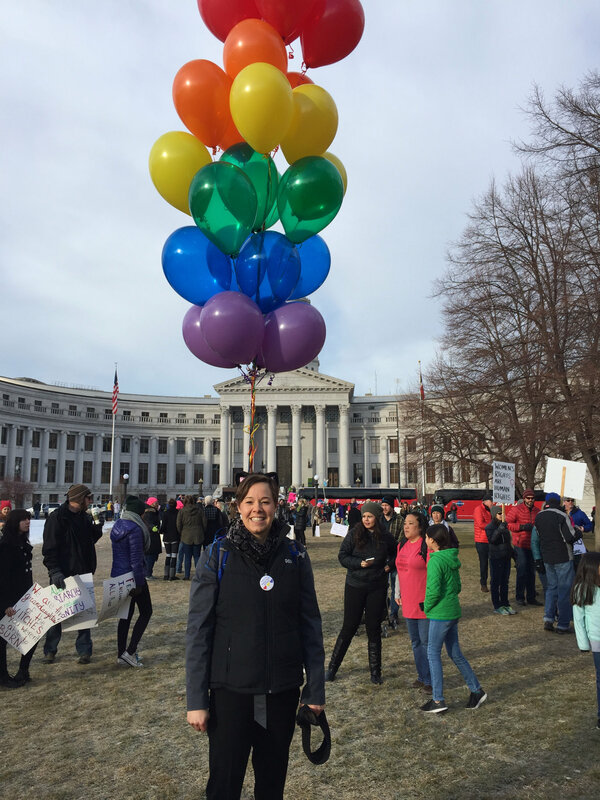 Look for the rainbow balloons at the corner of Cherokee and Colfax at 9am to then walk over for the pre-rally, or if you are coming just for the March look for us around 10am on the west side of the Greek Amphitheater in Civic Center Park, near the sidewalk that heads back toward the City and County Building. The march begins at 10:30am. My work in our community and at the city is in alignment with this year’s theme of intersectionality and building meaningful coalitions to fight oppression, which needs to be a lifelong commitment for all of us, not just an annual march. Sometimes this is about direct legislation like the ban on discrimination based on source of income that disproportionately affects Native Americans, African Americans and the disabled, or the law that prohibits safety personnel from cooperating with ICE when protecting immigrants. But it’s also about standing in solidarity with those fighting to raise the living wage to $15 for those struggling to make ends meet performing services for the city or working on our facilities, the majority of whom are individuals of color, or securing seats at the table for leaders of color to tell their stories and advocate for improved policies on police use of force. I am working hard to make Denver an equitable place for everyone to live, and to expand access for impacted communities to advocate in their own voices. What I said in my 2017 speech is as true today as it was then: We are strong women and we stand on the shoulders of many, many strong women. We are all, already leaders. And we have the strength to lead both the personal and political work it will take to fight any threat that comes.